If value, style and fuel efficiency are at the top of your list for your next new car in Arlington, the Veloster is a great choice, as noted by 2017 Hyundai Veloster reviews. 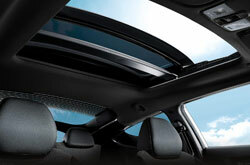 The four-passenger compact hatchback is versatile too, offering one door on the driver side and two on the passenger side. It also comes in four trims that offer plenty to appreciate. Keep reading to learn all about this fashionable compact car. The 2017 Hyundai Veloster near Dallas is available in base, Turbo R-Spec, Turbo Rally Edition and Turbo models. Standards include 17-inch alloys, LED running lights, heated mirrors, a height-adjustable driver seat, tilt/telescoping steering and a 60/40-split folding rear seatback for extra convenience. Connectivity features like Bluetooth, a 7-inch touchscreen, USB port and six-speaker audio system will make your drives even more enjoyable. The Tech package can be had on base and Tech grades. It adds automatic headlights, automatic climate control, navigation and rear parking sensors for improved safety. Many 2017 Hyundai Veloster reviews rave about the car's dynamic engine options. Starting with the base, it employs a 1.6-liter four-cylinder that produces 132 hp and 120 lb.-ft. of torque. 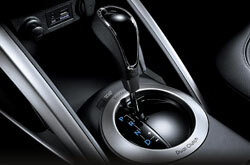 The engine is paired with either a six-speed manual or a six-speed automated manual known as DCT. Front-wheel drive is standard on every 2017 Hyundai Veloster in Arlington. The Rally Edition, Turbo R-Spec and Turbo trims pack a 1.6-liter turbo that pushes power to 201 hp and 195 lb.-ft. of torque. These models get a standard six-speed manual transmission; however, the Turbo can be had with an optional seven-speed DCT. 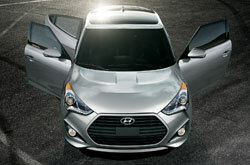 Every Veloster comes with traction and stability control, front side airbags and antilock brakes standard. A rearview camera is also included, making parking problems a thing of the past. 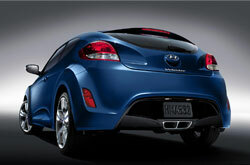 Blue Link, Hyundai's emergency telematics system, which offers roadside assistance and crash response, is also equipped on most Veloster models. If you're out browsing for the 2017 VW Golf, Honda Civic, Hyundai Elantra and the Chevrolet Cruze in the Dallas area, you should also take the 2017 Hyundai Veloster into consideration. 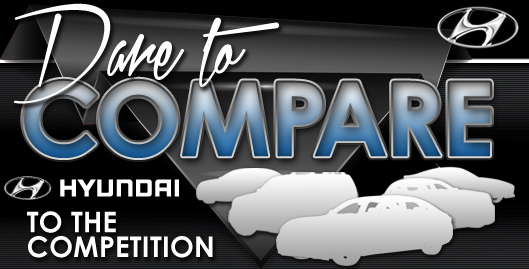 Due to its features, winning looks and inviting persona, it could be just the vehicle for you. Now that you're nearly done with our 2017 Hyundai Veloster review page, make sure to check out great short-term lease incentives offered at Vandergriff Hyundai! 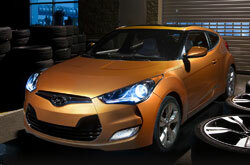 As a resident Hyundai Veloster dealer, we're the spot to find great factory offers on both new and used car models. We've provided this 2017 Hyundai Veloster review because it's critical to make an informed decision when you're buying a car. We have a enormous inventory of fantastic Hyundai Veloster models in Arlington, TX at Vandergriff Hyundai - drive one today. If you're hoping to see it before your visit, view its design and see how it's equipped in the enclosed video.